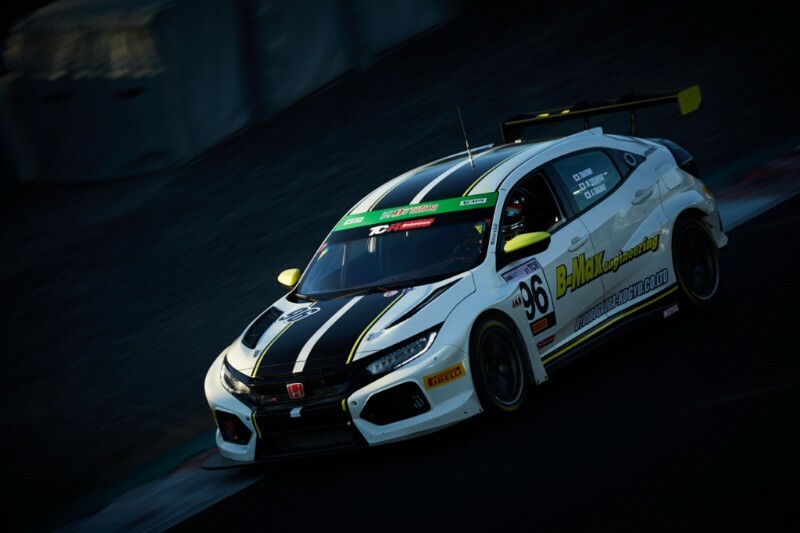 Dome Racing Team ended a dominant season in Japan’s ultra-popular Super Taikyu Series with another superb victory with the Honda Civic Type R TCR. The #97 Modulo Dome Racing Team car of Shinji Nakano, Tadao Uematsu, Hiroki Otsu and Takashi Kobayashi started fourth in the ST-TCR class at Okayama; the quartet slowed by carrying 45kg success ballast. But a sterling performance from all four drivers – who had secured the title at the previous race – brought them to the front of the field and a 50-second win. It was the fifth victory from six races for the JAS Motorsport-built Civic Type R TCR. 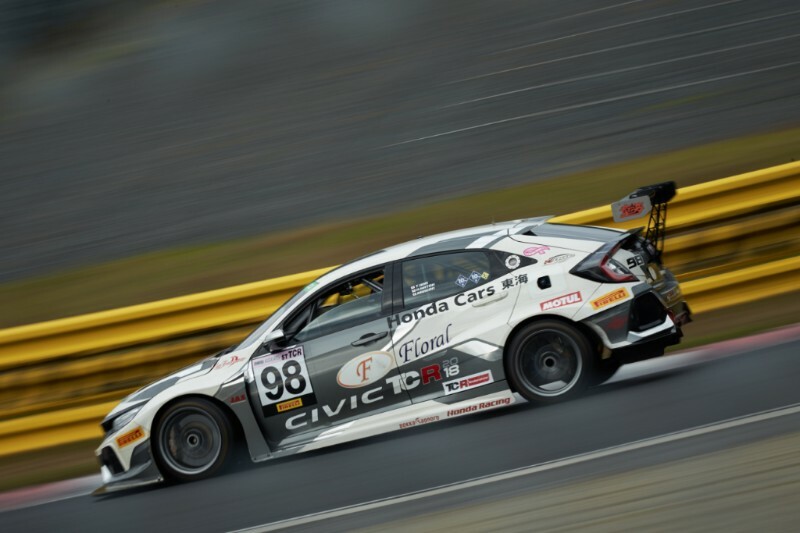 Having won last time out at Autopolis, the sister #98 Floral Dome Racing Team car of Hiroki Kato, Taiyou Iida and ‘Takumi’ was given the maximum 50kg success ballast and qualified seventh. Like their team-mates, the driver line-up pulled the ultra-reliable car forwards throughout the race and finished fourth. B-Max Racing with Dome upgraded from a 2017 Civic Type R TCR to a current machine for Okayama and qualified seventh. After their trio of ‘Dragon’, Shinichi Takagi and Motoyoshi Yoshida made early progress, their race was hampered when contact from another car led to rear-end damage and a loss of three laps in the pits while a left-rear brake caliper was replaced. They finished eighth. Main: Shinji Nakano/Tadao Uematsu/Hiroki Otsu/Takashi Kobayashi, Modulo Dome Racing Team Honda Civic Type R TCR, Super Taikyu Series, Okayama, Japan; Lower: (L) Hiroki Kato/Taiyou Iida/'Takumi', Floral Dome Racing Team Honda Civic Type R TCR, Super Taikyu Series, Okayama, Japan (R) 'Dragon'/Shinichi Takagi/Motoyoshi Yoshida, B-Max Racing with Dome Honda Civic Type R TCR, Super Taikyu Series, Okayama, Japan. Founded in 1995, JAS Motorsport is one of the world's leading touring car teams and constructors. Initially fielding Alfa Romeos in the ITC, JAS became a technical partner of Honda in 1998 and has been at the forefront of its activities with touring cars and rallying ever since. In 2012, JAS was chosen to develop, in partnership with Honda R&D, the Civic WTCC, with which it claimed the Manufacturers' world title a year later. JAS designed and built the Civic Type R TCR, which claimed 12 major titles in 2016 and '17 and is now responsible for the build of both the all-new Civic TCR and the NSX GT3 supercar.